This article, headed “The fiddling with temperature data is the biggest science scandal ever”, turned out to be a misleading account of perfectly proper adjustments to readings from outdated measuring equipment which Mr Booker mistakenly thought showed that scientists were tampering with the historical record and trying to deceive the world about the need for action over climate change. [Full explanation of his errors here]. 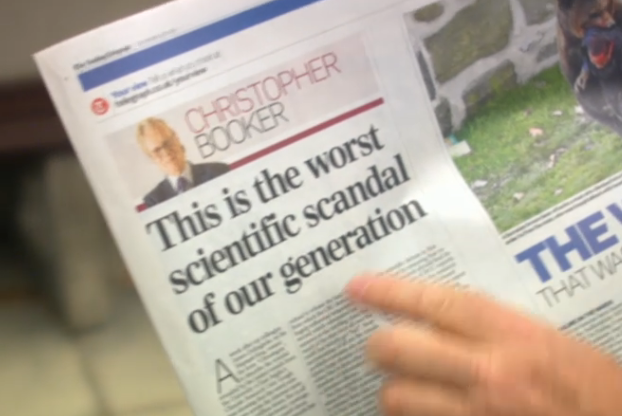 That ‘worst scientific scandal of our generation‘ wasn’t a scandal either, although Booker wasn’t alone in trumpeting it and calling it by the ridiculous misnomer, Climategate. And in a curious coincidence of hyperbole (unless they were hand-in-glove) another journalist, James Delingpole, wrote an article in The Spectator the following week [here if you want it] referring to the same events as ‘the greatest scientific scandal in the history of the world‘. Gosh! Another curious coincidence was the timing: these journalists, and a few others, broke the news of this 2009 ‘scandal’ – based as it was on a perverse interpretation of a ten-year-old stolen email, selected from thousands and quoted out of context – just three weeks before the Copenhagen Climate Summit of that year. It was therefore perfectly timed to undermine the political will so essential to making that crucial conference a success. What is certain is that Climategate – later described by Professor Sir Paul Nurse (see below) as ‘the scandal that never was’, did indeed play a part in securing the limp outcome which was so bitterly disappointing to all but climate change deniers. At least four independent enquiries subsequently exonerated Dr Phil Jones and the Climatology Department of the University of East Anglia of all the charges of dishonesty which had been levelled so viciously against them. But the clearest description I have found of what actually happened was contained in a BBC Horizon programme by Professor Sir Paul Nurse, President of the Royal Society and Nobel laureate. This programme is no longer available online but I prepared a transcript of some crucial sections at the time and posted them [here]. This extraordinary account makes it clear that Dr Phil Jones’ Department was the object of a coordinated campaign to undermine its authority as a world-leading centre for climatological research, and to undermine the credibility of the warnings it, and by implication climate science in general, was giving. That 2009 campaign by Mr Booker and others of his persuasion was all too successful. The worry is now that they have their (short) sights on undermining the climate talks which are scheduled for this year. They must not be allowed to succeed this time – the world cannot afford another Copenhagen. You might even say that the concerted effort in which they have played a not-insignificant part – either as collaborators or, hopefully, as dupes – to deceive the world over the most serious existential threat mankind has ever faced, really is ‘the biggest science scandal ever’. Buying an electric car was something of an act of faith for us. There is still very little experience of them and even the dealer said it was only the second they had sold. 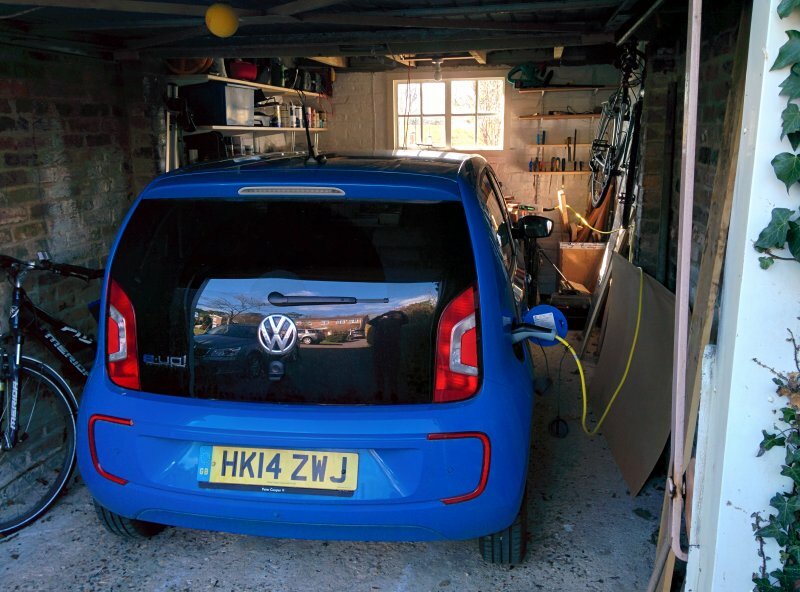 A friend had shown us a Renault Zoe and his enthusiasm was infectious and persuasive, but we liked the fact that the new VW models have an option to charge from an ordinary 13 amp household plug. 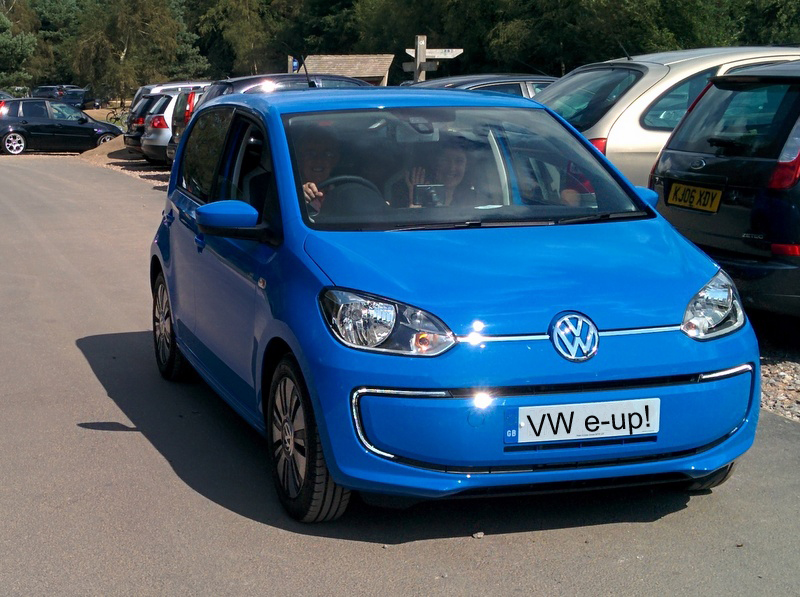 But we didn’t, for example, know how well the electric VW would cope with hills. We were quite prepared for it to struggle a bit going up the steep incline from our garage to the road, and similarly on the steep zig-zag up the hill to where we live. That just shows how little we had gleaned from our short test drive – we couldn’t have been more wrong. The way it gently, silently slips out of the garage and up onto the roadway, and the way it sweeps effortlessly up hills, absolutely ‘like the wind’, is a complete revelation and an intoxicating joy. We can’t resist going out at the slightest excuse to do it again. And we do that knowing that it isn’t costing anything at all: It doesn’t cause any noise; it doesn’t make any pollution. That’s because, charging on a reasonably sunny day, it draws less power than our solar panels are generating. So it literally runs on the sunshine which would otherwise have heated up our roof tiles. And – almost too obviously to point out – it doesn’t have an exhaust pipe, so it couldn’t emit exhaust gases if it tried. With no gears the engine picks up strongly from rest and carries on pulling smoothly right through any amount of acceleration. This feels incomparably superior to the smoothest and most sophisticated of automatic gears. Apart from Park, Reverse, Neutral and Drive you can select one further mode, B, by pressing momentarily on against a spring. 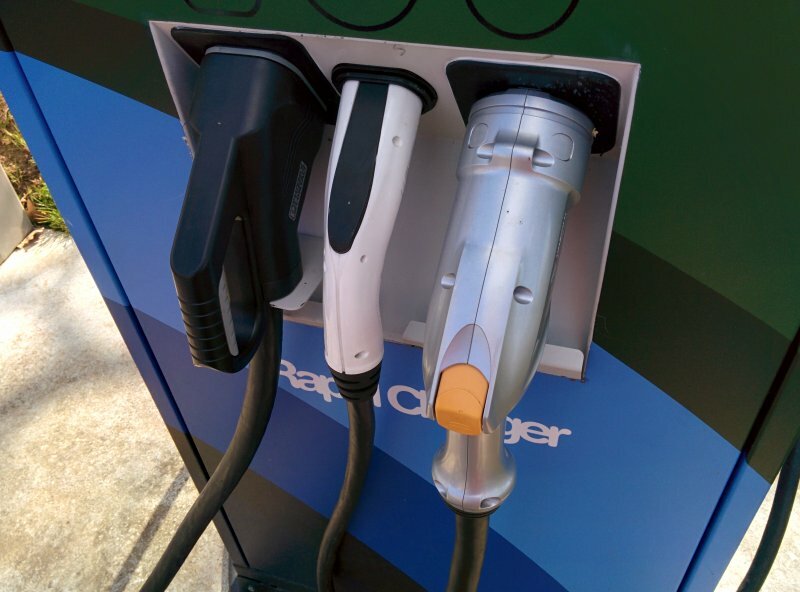 This engages the recuperation system which, provided the battery isn’t absolutely fully charged (when there is presumably nowhere for the electricity to go), the motor operates in reverse when you lift off the accelerator, gently but increasingly-firmly retarding the car as it puts energy back into the battery. This means that 1) you rarely have to move your foot onto the brake pedal and 2) at the end of a long descent you find you have several miles more range than you had at the beginning. It all takes a bit of getting your head round, something so new. The motoring journalists in the reviews I’ve seen missed it completely. 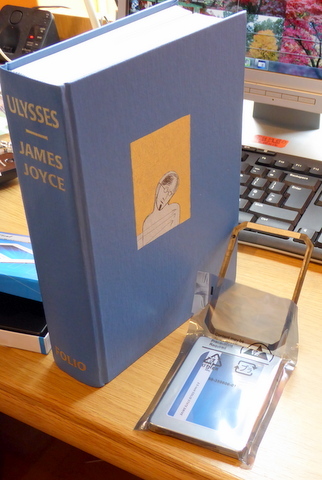 The one in the Telegraph, although he said he liked the e-up!, seemed to think the only reason anyone would actually buy one would be to save money, and he declared the issue settled when he found that most people wouldn’t. No economic case at all: QED. It is hard to imagine him applying the same criterion to a Porsche – ten times as expensive and in my opinion ten times less fun. Not to mention immeasurably less sustainable. But then that would only count in the equation if he worried about sustainability, which as a rule motoring journalists tend not to. So the general impression is that it is an incredibly refined vehicle, uncannily quiet and unfussy, and a complete joy to travel in. It is hard to pin down what is quite so special about it, but it reminds me of a trip I once had in a glider, or of that wonderful sense of peace you get in a sailing boat when you get out of the harbour and kill the engine. As you slow down and stop, the engine stops. Silent, still, cool. Cars whose engines keep running until you turn them off begin to look a bit ridiculous. It could be quite soon that people come to see the internal combustion engine as crude and unsophisticated, and those exhaust pipes – no less than four huge ones on a Lamborghini I saw in a service station the other day – as frankly disgusting. Everybody asks about the range. 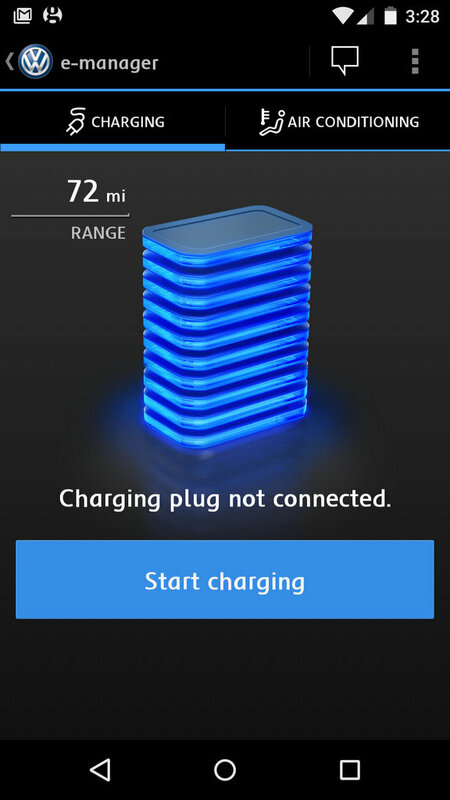 Well, a full charge takes it just over 80 miles. Another ten or so if you change to Eco+, which turns off the air conditioning and restricts the speed until you do a deliberate kick-down with the accelerator. Eco mode is somewhere in between. In Normal mode the e-up! zooms along the motorway and keeps up with and overtakes almost anything if you want it to. The instrumentation tells you exactly how much power you are using and the range remaining all the time. So, we already do return trips to towns 35 miles away in complete confidence. [ADDENDUM – this should really say ‘in summer, using Eco+ mode’ – see note added at the bottom*] We have yet to try, or need, a rapid-charging station on a longer journey, but the thoroughly-integrated Garmin ‘Info-tainment’ centre tells us where they are when we do. 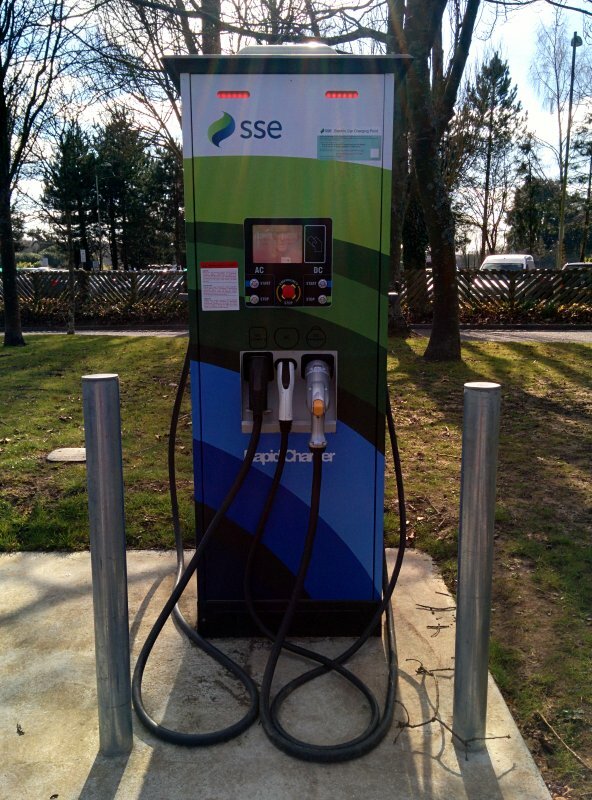 We are registered with Ecotricity and we have our swipe card, and charging will be free and take up to twenty minutes. 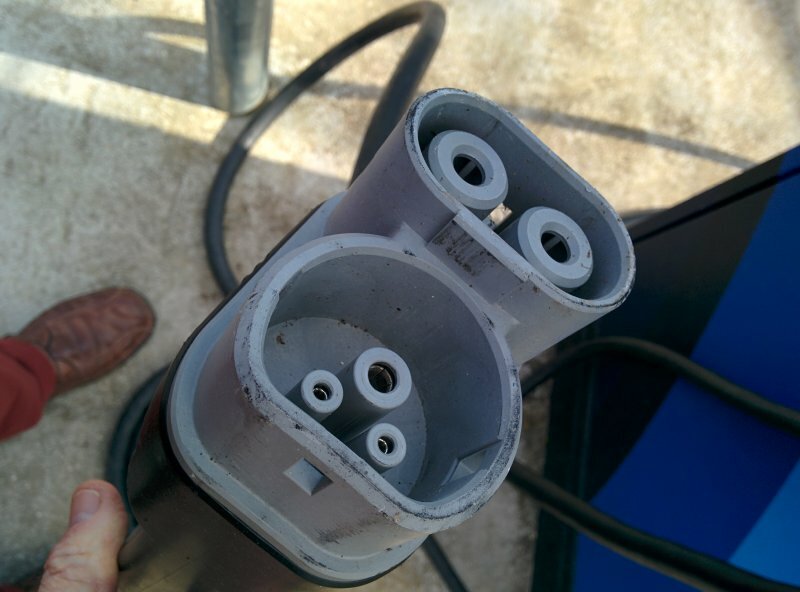 The VW models use the new CCS connector which is currently being installed in charging centres. As far as we can tell we can also use the more common Type 2 connector as well. 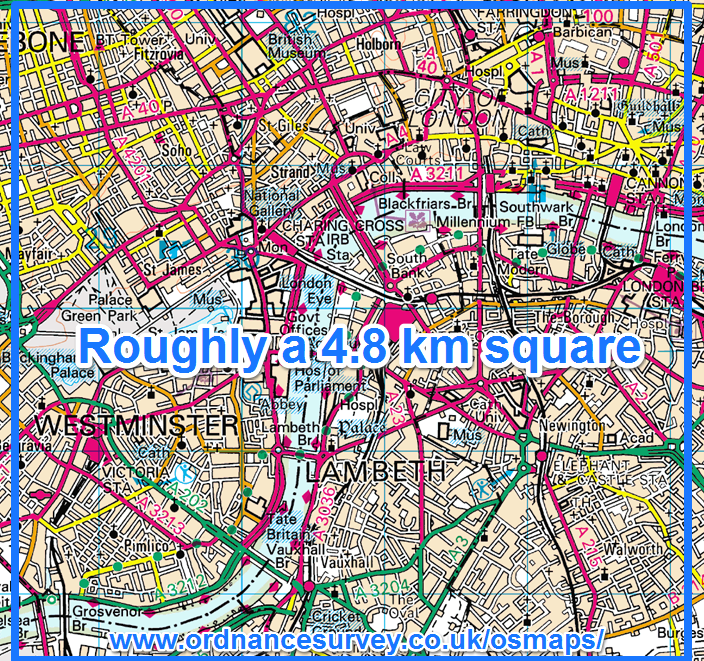 But I will edit this post to give clearer details of the practicalities of using these stations as we find them out. This is where the lack of people experienced in using the technology is so apparent. There is certainly a pioneering element which is probably part of the fun. For the time being I would have two major reservations – I do not think we have reached the point where electric cars are practical as an only car for people who need to make long journeys. The extra range of the VW e-Golf might make the necessary difference but I think that remains to be seen. And secondly, you really do need a garage where you can keep and charge it. I see no solution at the moment for the many people who have to keep their car in the street, and not even in a fixed position outside their house. Yesterday evening we took four adults on a 63 mile round-trip to the theatre. Starting with a full charge and on Eco+ mode the indicated range was 98 miles. As we started home it was 48 miles – battery charge dial showing between half and three quarters full. About ten miles from home we changed to normal mode, turned on the heating and stormed up a couple of hills to show off the car. Arriving home there were 8 miles remaining range indicated. 32 miles in 57 minutes, av 33 mph. It takes time to get your head around having your own solar power. Our PV roof panels were switched on three days ago and we have already generated (…gets up to look at the meter behind him on the wall…) 57.1 kilowatt hours. That’s much more power than we have used in that time. That’s a lot. Much more than I imagined. But the thing which is so novel and which takes some really believing is that during the day we can use as much hot water as we like and there is absolutely no cost whatsoever – not to us and not to the planet: we are just using the heat from the sun that would have fallen on that part of the roof anyway. Why isn’t everyone doing this! Another thing: When the energy performance certificate for our house was done just six months ago the assessor estimated that a 2.5kW solar array would cost future owners (i.e. us) between £9,000 and £14,000. In fact our state-of-the-art array, installed with meticulous care and attention to detail last week, actually cost us £6,500. And it generates 4kW, getting on for twice as much as that estimate, for less than half the price. Bottom line – even the experts have not understood how quickly solar power is becoming hugely cost effective. And our bottom line is the profound satisfaction we are getting. We even have a new electric lawnmower, which – wait for it – gets used in summer and always during the day – isn’t that just beautiful. Our system was generating 1kW at 8.00 this morning and 1.3kW at 6.00 this evening. And it is early April in supposedly dark and dreary England. Isn’t that beautiful too! Oh yes, it peaked at just over 3kW. Eight panels on the East sloping roof and another eight on the West. Am I becoming a bore? Not to me. It’s wonderful!